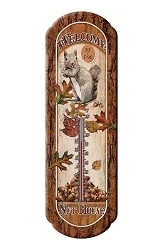 The finest Comfortmeter ever made! 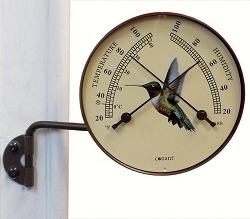 Accurate, durable and beautiful, the Cardinal Outdoor Comfortmeter Bronze Patina is a treasured gift for any occasion! 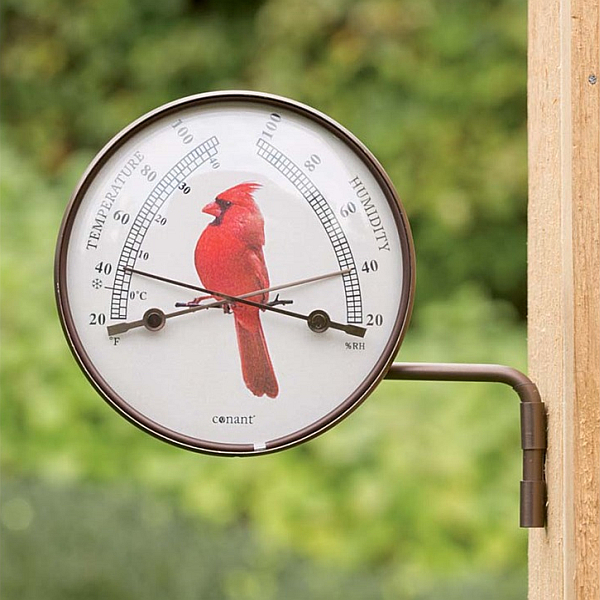 Gardeners and weather buffs will adore this outdoor Comfortmeter. 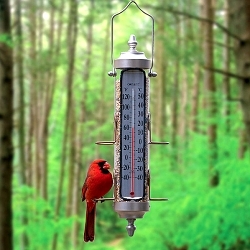 Its classic design and hardy construction make it a perfect addition to any porch or outdoor space. 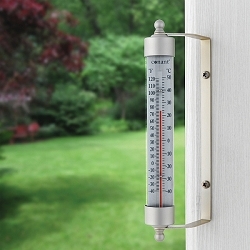 The Décor Collection Comfortmeter is constructed of long-lasting anodized aluminum and crystal clear glass designed to withstand a lifetime of outdoor use. 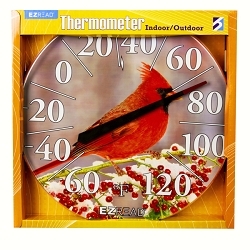 Its easy-to-read cream colored dial displays both temperature and humidity, featuring the relationship between the two. 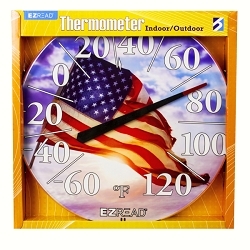 The thermometer function has been extended to show a range of -20 to 110 degrees Fahrenheit to accommodate for fluctuating outdoor temperatures. 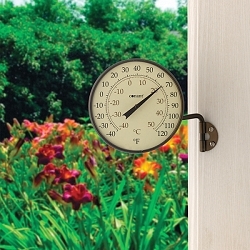 Conant Décor Collection - Crafted of long-lasting anodized aluminum in two finishes, Bronze Patina and Satin Nickel, this attractively priced product line is designed to be enjoyed for years to come as evidenced by the 10-year limited warranty. 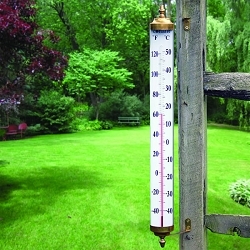 Dimensions: 6.25" x 1.25" x 4.25"
Vermont Grande View Thermometer Living Finish Brass 24"